Small dents and dings in your car are very annoying and can be expensive to repair. 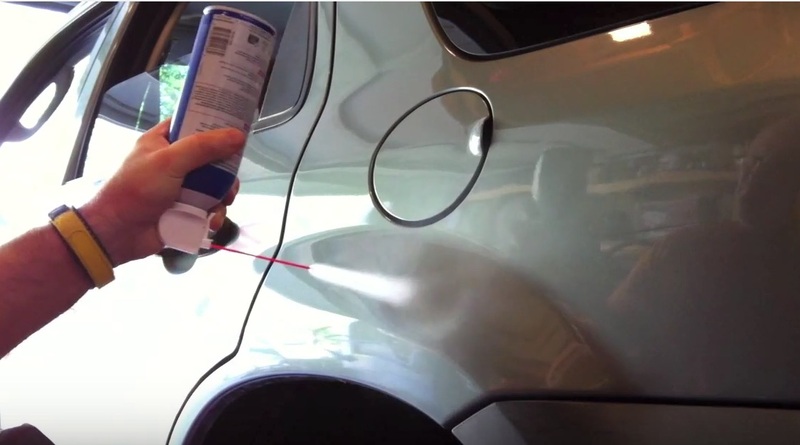 But here’s a handy DIY trick to Fix A Small Dent In A Car to try before bringing your car into the auto body shop. The procedure to get rid of small dents is very simple. Take a hair dryer to heat up the dent. Take an air duster (the kind you can find for a couple bucks at office supply stores) and turns it upside down, which causes it to blow out super cold air. Here is the simple theory how it works. The heat from the hair dryer causes expansion, and the cold from the canned air causes contraction. It’s this hot-cold effect that makes the dent pop right out.